On May 11, Netflix released the teen dramedy “The Kissing Booth” just as the school year was wrapping up for teens across the country. By June, the company had a smash hit among the tweenage set, and Wattpad, the company that owned the rights to the The Kissing Booth, had its first true breakout vehicle. The story, written on Wattpad’s publishing platform by Beth Reekles, was a proof point for the company’s thesis pitching a new twist on the old model of discovering stories and creative talent for the entertainment industry. 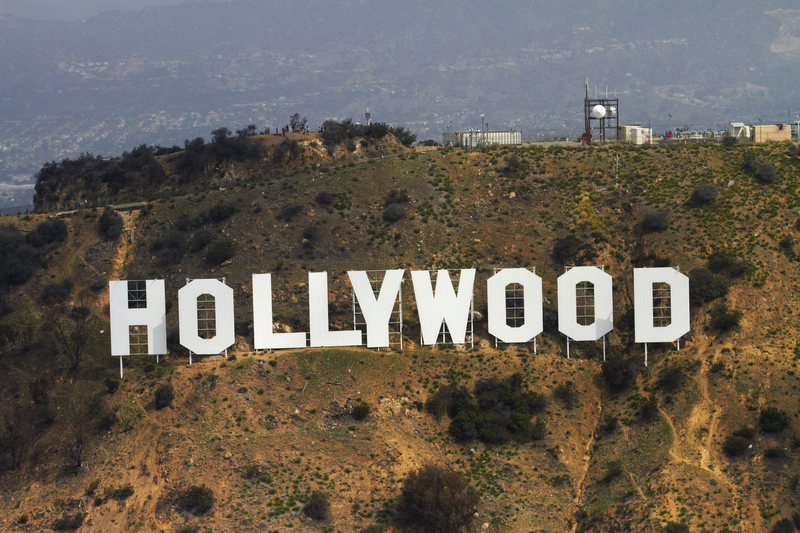 Behind the success of the film is a nascent movement among startup companies that are trying to open the doors of Hollywood’s dream factory to a broader group of creative professionals by riding the wave of fan fiction and user-generated content all the way to the Paramount lot (or the Disney lot, or Sony Studios). “In this obvious period of disruption in the entertainment industry, how we’re finding stories is evolving,” said Wattpad Studios chief Aron Levitz. YouTube, the short-lived Vine app and Instagram have all created new platforms for discovering potential on-camera talent, and Amazon, Apple, Facebook, Instagram (again), Netflix and YouTube (again) have smashed the distribution system for television and movies. But these platforms and the traditional studios they’d like to supplant have a voracious appetite for stories to tell and (many) are reluctant to risk millions of dollars behind something unproven. Hollywood has always borrowed (or stolen) from other media to entertain the masses, but it seems like the fields it’s foraging in for new stories have narrowed to a few serialized playgrounds (comic books, old television shows and movies and wildly successful young-adult genre fiction). While there are thousands of flowers to be found there, new tech-enabled companies are suggesting there might be other patches where new talent can be discovered, harvested and leveraged for corporate gain and viewer delight. Startups like Wattpad and Tongal (for directors and cinematographers), and new financing platforms like Legion M (for producing features), are aiming to elevate new talent and provide what the companies hope will be built-in audiences for successful new programming on platforms like Netflix, Apple and others — and the hundreds of networks that are vying for attention in an increasingly fragmented media landscape. It wasn’t always this way. When Tongal was created, roughly a decade ago, the entertainment industry looked much, much different than it does now. Ten years ago Netflix announced it would let its DVD subscribers watch streaming video, as well — mostly old movies and syndicated shows that had already made their millions for the big networks and studios. That was the starting gun of what would become a race to roll up talent and gain audience in a creative landscape that was becoming increasingly competitive — with new entrants joining at every new lap. At the time, Tongal was a discovery mechanism for new talent and a way for brands to pay for user-generated content they liked. The company raised $15 million from Insight Venture Partners to harness the growing popularity of social media reach to create potentially viral videos for brands. Tongal is still working under the thesis of user-generated content, but the difference now is the millions of dollars these videos and their creators can bring in — and the ability to energize and inspire a fan base to connect more directly and engage more frequently with new titles. All the while, Tongal gives studios a window into a wider world of talent. One creator on the platform, Tucker Barrie, has gone from making short videos for social media for IAMS to a career as an animator on projects like Isle of Dogs. “Tongal is a good spot for people who don’t have a lot of experience to gain a lot of experience and make a name for themselves,” Barrie said. In the past year the company has inked a deal with National Geographic to produce a series called WILD After Dark. The first late-night series from National Geographic WILD, the new episodes will feature shorts from members of the Tongal platform on animal-related subjects. It launched with an open call for submissions in February. More recently Tongal has linked up with Wattpad to call on its network of creators to pitch a treatment for Wattpad’s wildly successful science fiction thriller Expiration Date. In July, Tongal issued its call to filmmakers for submissions from which the partners will pick three finalists. Those finalists will receive funding to produce a “proof-of-concept” series trailer. Then, Wattpad, Tongal and their distribution partner SYFY will award a grand prize winner additional funding to create a digital pilot episode with the potential to go on to develop the entire series for SYFY.com as part of its fan creators program. This marks the second collaboration between Tongal and Wattpad on project development for a network. The two companies, which have a natural affinity as creative platforms focused on the visual and storytelling elements of a production (respectively), had worked on a similar competition for the CW Seed, and its production of Cupid’s Match, another popular Wattpad story (spoiler: it’s not very good). Partners are lining up. Sony Pictures Television bought the rights to the Wattpad story “Death is my BFF,” and Hulu signed off on an order for “Light as a Feather.” Studios and networks including Turner, Universal Cable Productions (a division of NBCUniversal), eOne and Paramount Pictures, have also signed on to work with the startup. 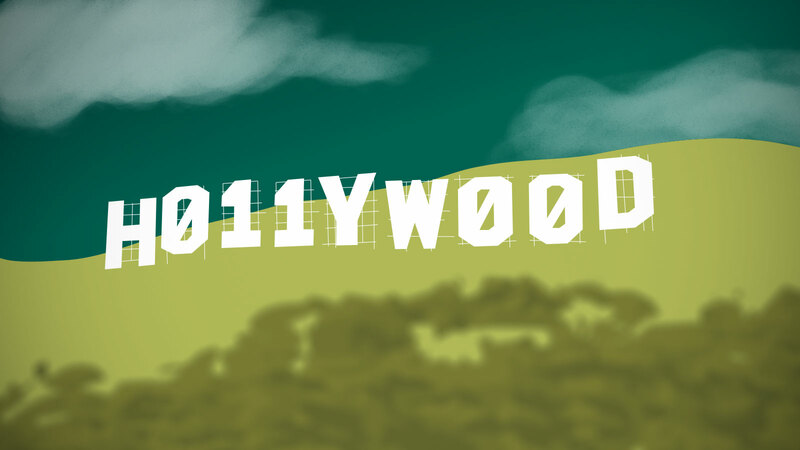 Like Tongal, Wattpad also took a circuitous path to becoming a player in Hollywoodland. The company initially started as an e-book community operator sharing fan fiction and classic works. Over time, the fan fiction side of the content marketplace won out and the Toronto-based company went from raising capital from a consortium of angel investors to raising $51 million from a consortium of investors, including the Chinese internet giant, Tencent, earlier this year. It’s likely that Tencent (and the studios it’s partnering with) were drawn to Wattpad’s 60 million monthly users. The foundation for the belief that fan fiction could be leveraged into hundreds of millions for the movie industry was laid by the success of the Fifty Shades franchise. The best-selling books, derived from Twilight fan fiction, were optioned into a series of three films and made for a cool $150 million. By the time the last movie in the series debuted, the films were on their way to making more than $1 billion at the box office. For the past decade Hollywood has been relying on big franchises and fan-driven stories to create big numbers at the box office or online, said DeJulio. DeJulio sees Tongal as a platform where one can influence and support the other. “The studios, once they do get a hit… They realize that through fan communities and engaging them they can not only market it but they can actually get the work done too [of creating new content],” DeJulio said. If Wattpad and Tongal are using their network of users to find and promote talent, Legion M is hoping to use the network of fans for genre content to finance new productions. The startup production studio has raised $3 million in equity crowdfunding over two rounds and has managed to grab a stake in well-reviewed indie-projects like Colossal (starring Anne Hathaway and Jason Sudeikis) and Mandy, a new Nicolas Cage vehicle already being touted as cult-classic gold. What that means as far as returns go for the shareholders that back the company’s funding campaigns is unclear, especially since the company’s Bad Samaritan project (starring David Tenant, everyone’s favorite of the new Dr. Who) was critically panned. Founded by two serial internet entrepreneurs, Paul Scanlan and Jeff Annison, and backed by partnerships with folks like the Austin-based theater chain Alamo Drafthouse, Legion M’s goal is to bring in 1 million fans as investors to back projects. The idea is to harness fan support for sales and marketing help and to surface projects that have enough of a built-in audience to generate profits for the company. “We believe an entertainment company owned by fans is better than one owned by Wall Street,” said Paul Scanlan, Legion M’s co-founder and CEO, in a statement announcing the company’s new crowdfunding campaign. Some of the projects Legion M affiliated itself with are based more around fan engagement than an actual dollar investment. In fact, the company isn’t a producer of the marquee Colossal film, and instead came on to provide marketing support through its network of fans, according to an interview with the director. Scanlan and Annison launched MobiTV, which was an early developer of technology to stream digital media on mobile devices. The two went on to launch New York Rock Exchange, a company that allows fans to buy illiquid shares in songs they love. It’s like a coin offering, without the upside, and without any legal ramifications, because there’s actually nothing of value that acquirers are buying. Unlike the Rock Exchange, average investors are buying real shares in the crowdfunding offerings the two co-founders are selling via the Securities and Exchange Commission’s new crowdfunding regulations. And they’re tapping into the thesis that fans and consumers are driving the creation of commercially viable content now more than ever. Wattpad, Tongal and Legion M aren’t alone in their efforts. Companies like Seed&Spark, Coverfly and The Black List are also doing their best to uncover new artists and creators for the entertainment industry to develop. While on the financing side, new cryptocurrencies like MovieCoin (which just launched a pre-sale of its tokenized financing offering for producing new movies) and TaTaTu are angling to give the moviegoing public another (ideally more transparent) way to finance movies.